Woah! Great article Evan. I’d love to know what data you’ve mined from the HPA following. Thanks Rory. I’ll definitely get a post up with all the data i’ve collected as well- I have an article in the pipeline explaining the entire collection process and subsequent analysis etc. Just need to retest a few more things so it all comes full circle. Great article! Did you create these ratios yourself based on experience and trends seen within your athletes? Why not simply take the same tests and view them on a spectrum relative to ideal times for each piece to see power vs enduring? Will you be discussing your mixed modal application of this concept in the next piece? Thanks again for putting out so much great information. The ratios/ concept are based on the Peronnet-Thibault mathematical model (http://jap.physiology.org/content/67/1/453), but are adapted to fit the context of mixed modal sport, and the modality of rowing, vs predicting running performance. In regards to viewing the tests on a relative spectrum we can do that as well, but the purpose is to objectify. Ie- The relative data doesn’t give the whole picture. For example- a “powerful” crossfit athlete is only powerful relative to those competing in crossfit. In the grand scheme of athletics, compared to say sprinters/jumpers/weightlifters, they are not that powerful (ie- absolute scale vs relative scale). So this test is taking us out of the relative “Crossfit” realm and grading on a larger scale. In terms of relative tests we do use those as well, but that is a different topic entirely (which would make for a nice follow up piece, along with the mixed modal applications of this info). Have you determined what is the best practice in building aerobic capacity? To keep it simple, let’s just stay with cyclical training protocols rather than mixed modal. I know it’s common understanding to build the aerobic system from endurance to power (opposite of anaerobic), but it could possibly be the other way around. I’m wondering if you have any more insight into that with your observations of your data? 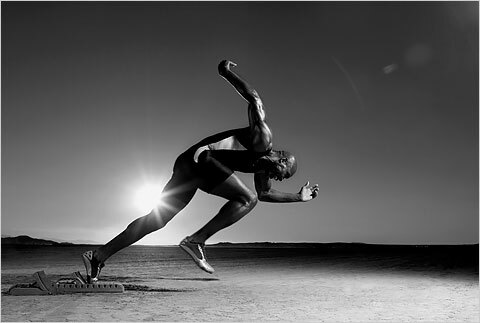 Have you noticed if more powerful athletes respond to a one way while more enduring athletes are opposite…. or are they similar? To start- the common principal of “endurance–>power” works but is not the most effective method for base building (The main scenario where I find this type of cut and dry principal useful is with beginner athletes as you can give them a clear progression in terms of pacing. ie- show them how power output increases as time decreases etc) . The good thing about this type of Rx though is that it is effective for the majority of athletes (to some extent), and is hard to rx incorrectly (i.e. your not going to hurt someones aerobic development by giving it to them). However, I do not think it is the most effective method for aerobic base, threshold, or power development (which have distinct physiological differences in and of themselves). The main issue with the more advanced prescriptions is that they have the potential to hurt an athletes development if applied incorrectly whereas the more basic approach will simply yield subpar results (as I alluded to in the aerobic base development section of the article). Which is why I do not give specific examples in the article. In regards to your specific question about power–> enduring that can work for achieving a specific result (like speed preservation or aerobic threshold), but in terms of base development it wouldn’t be the most effective measure (i’d aim for a mix of speed preservation/ building a large volume of relative sub-max work which can be anywhere from 70-90% depending on the athlete’s state of overall development and standing on the spectrum of powerful to enduring). TLDR- Yes; powerful and enduring athletes respond differently to a given Rx. They aren’t opposites per say, but the most effective methods for building a powerful athletes aerobic base will yield lackluster results for an enduring athlete and vice versa. This not only included %’ intensities (as stated in the paragraph above), but also the formatting of work/ methods used. Also note that “building an aerobic base” in and of itself is a slippery slope as there are different physiological adaptations that make up that training characteristic. This could mean eccentric cardiac hypertrophy, mitochondrial density, angiogenesis, capillarization etc (there are training mechanisms that favor one over others etc, though there is synergism as well). Let me know if that answered your question or not, or if you need anything clarified. Yep, that answered things pretty well. I was only trying to think about how to write prescriptions to a group, like a class at a Crossfit gym, to help build that aerobic base appropriately. But that RX will definitely be hit or miss considering a large group of people are going to be all over the place in terms of where they stand on the fitness spectrum. Hi Evan, I do not have a subscription for the performance menu journal. But I would really like to read your article: Absolute Strength, Absolute Speed, and Everything In Between. Is there another way I can read it? Is there another way I can read the article: Absolute Strength, Absolute Speed, and Everything In Between? I do not have a subscription for the performance menu journal but really would like to read the article.